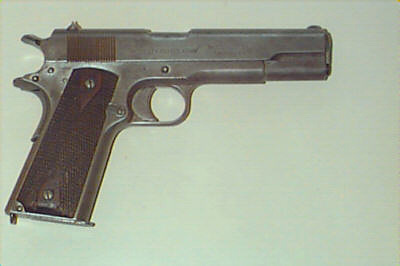 This is an example of the Colt M1911 pistol used by the US Army during the first World War. This particular example was manufactured in 1918 during the closing months of the war. Notice this example has the flat mainspring housing and longer trigger as compared to the M1911A1 pistol adopted in 1928.